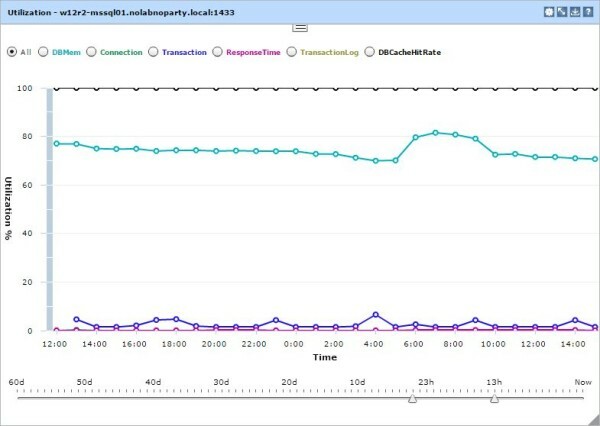 VMTurbo Operations Manager allows the control of MS-SQL Servers to improve database performance resizing connection pools, database memory or transaction log. 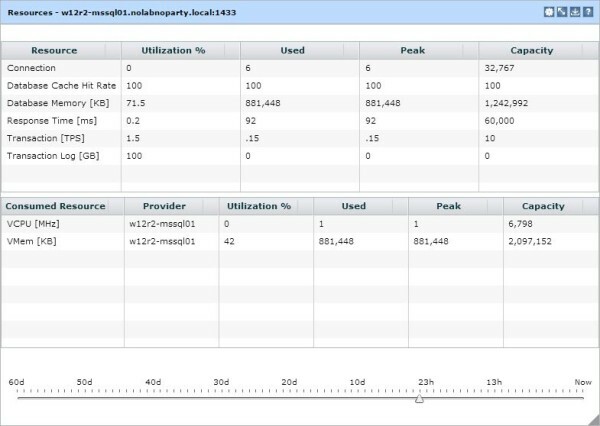 To control memory sizing inside applications and databases, the Application Control Module must be activated in Operations Manager enabling auto-scaling up or out to meet real-time demands. 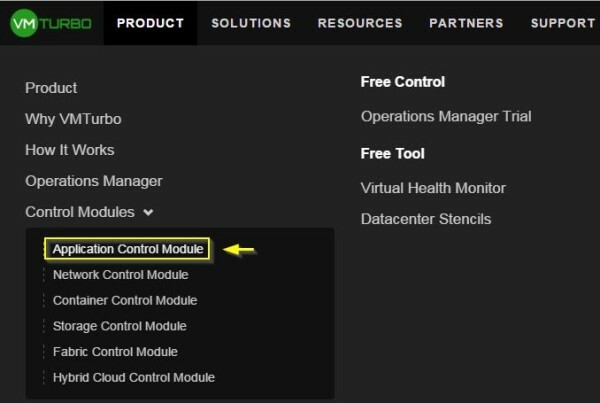 To enable the Application Control Module a valid license must be installed in Operations Manager. 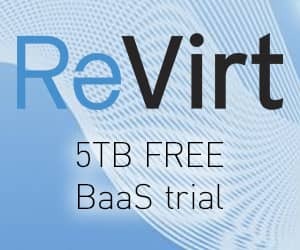 From VMTurbo website you can request a 30-day trial to test the application. From your favorite browser access VMTurbo web console, type the correct credentials then click Login. Select Admin tab from main menu. 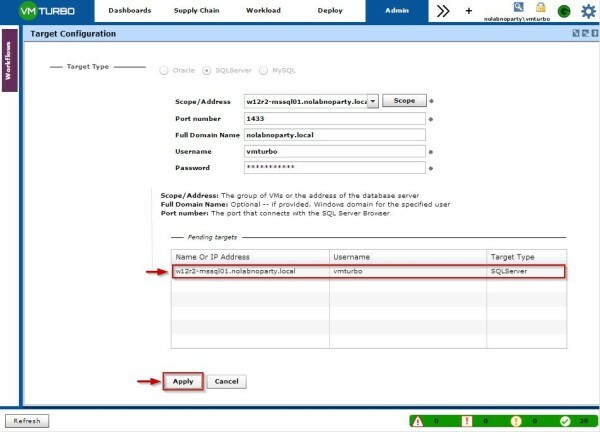 Click on Workflows item to open the panel and select License Configuration option. 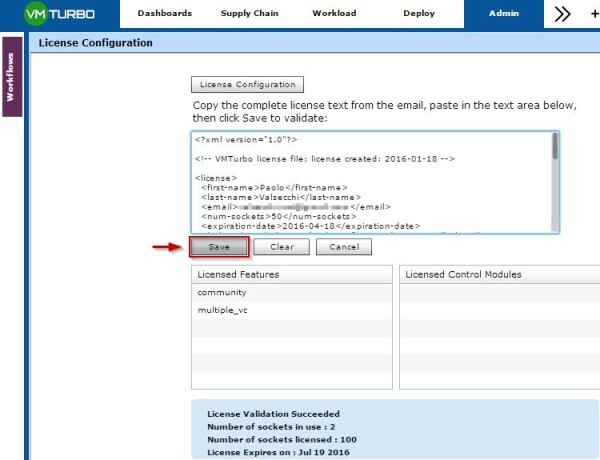 Click License Configuration button to enter the license received from VMTurbo. Paste the license key then click Save. The Application Control Module has been enabled. 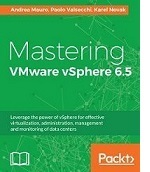 Starting from version 5.2, VMTurbo Operation Managers supports MS-SQL Server 2008 R2, 2012 and 2014. 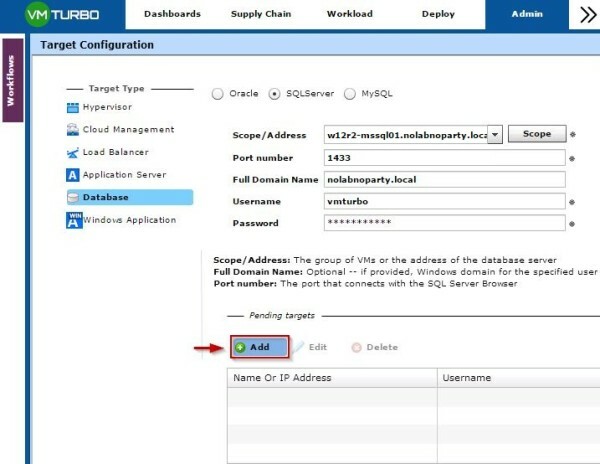 You can add an individual database server as a target or all matching targets within a given scope. 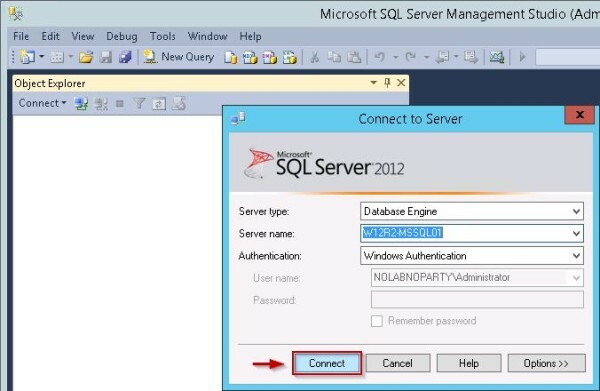 From MS-SQL Server, open the SQL Server Management Studio. 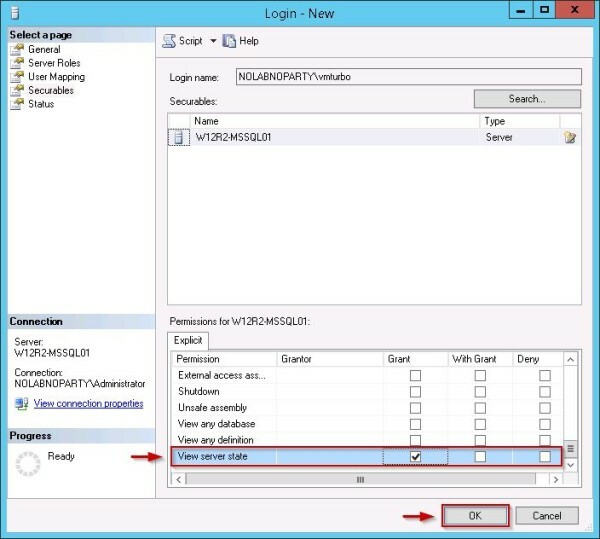 Expand Security item, right click Logins and select New Login option. 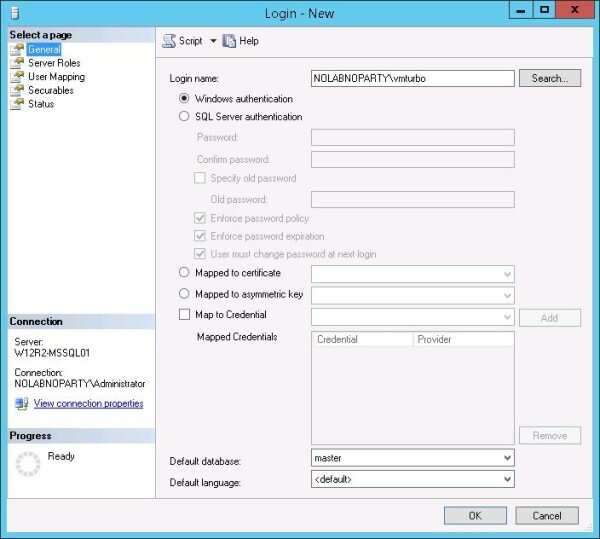 Specify the Active Directory Login Name VMTurbo will use to access the SQL Server. 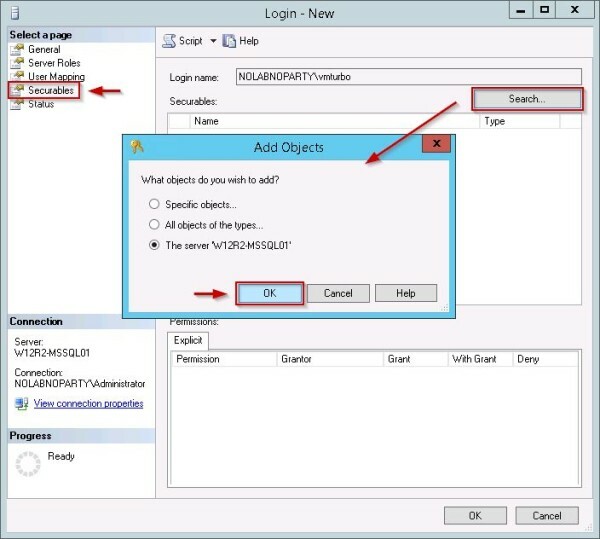 In Securables tab, click Search button and select the SQL Server. Click OK to confirm. 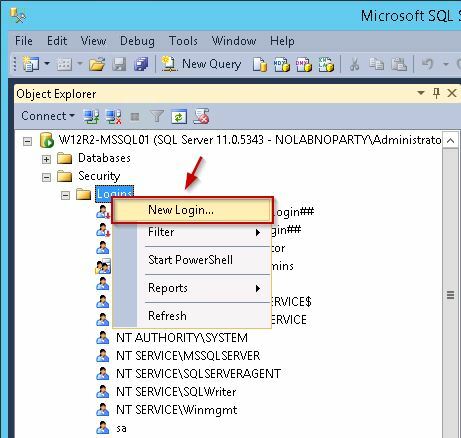 Under Explicit section, grant Connect SQL permission to the selected user. Grant also View Server State permission then click OK. 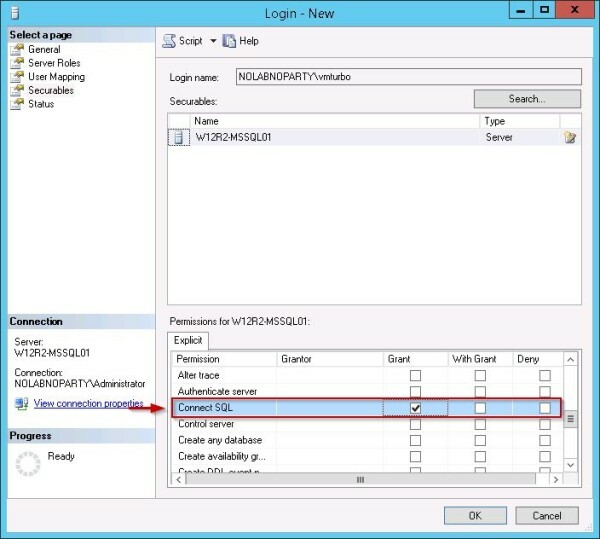 The specified user is now listed under Logins folder and will be used by VMTurbo to connect the SQL Server. 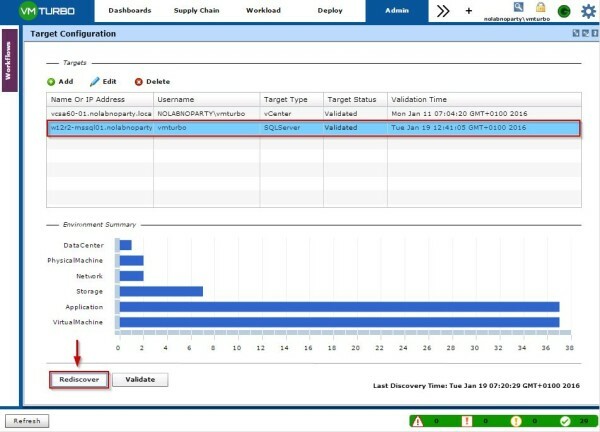 From VMTurbo console, select Workflows > Target Configuration in Admin tab. Click Add to add a new target. Click Add to add the database to control. Click Apply to store the new target. Click Rediscover button to discover and validate the added target. The discovery process is being performed. When the Discovery process has completed, the Last Discovery Time label is updated with current date and time. 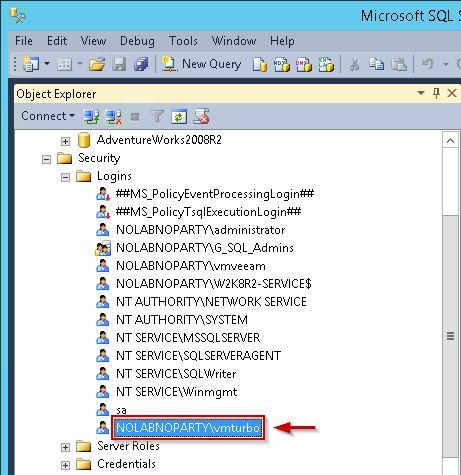 From Inventory tab, select Applications > Apps_SQLSERVER and select the configured SQL Server. 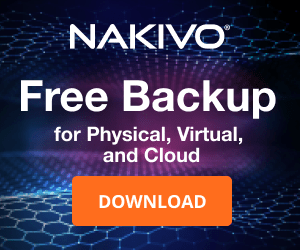 Resources - the resources the application server provides and the resources it consumes from the hosting VM. Utilization - a chart showing the utilization of the provided resources over time. 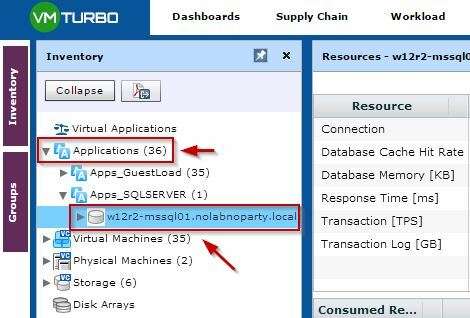 To Do - recommended actions for the selected application server. 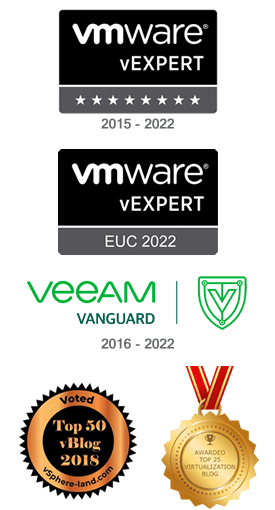 With Application Control Module, VMTurbo understands application resource demand of target SQL Server assuring best performance maximizing infrastructure utilization.